Take a Survey & Receive a FREE Gift! We invite you to our warm and welcoming environment, to relax and recharge in high quality multi-sensory experience that nurtures your mind, body, and spirit. Olaplex – restore compromised hair with Olaplex treatment, , or add it to your highlights, or color, to provide the ultimate breakage insurance. Let our team of experienced Aveda professionals redefine your salon experience with exceptional, personalized services. Prices vary with the length/texture of hair. All services include a consultation, shampoo, Aveda hair therapy and blowdry. Use of curling or flat irons and hot rollers my be additional charge. After color services and when available, we offer a complimentary 15 minute finish with our stylist assistants or upgrade with Stylist. 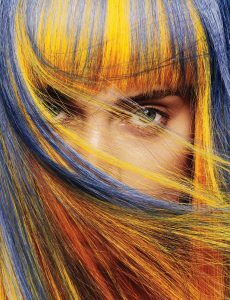 Color pricing varies based on length/texture of hair and time requirements for each specific color service. *Add lowlights to highlights, additional cost applies. ©2017 Marketing 360. All Rights Reserved.